House hunters are rushing to reserve new-build homes at a thriving location in Moreton-in-Marsh. And an increasing number of families and young professionals have been visiting Bovis Homes’ The Avenue, off Todenham Road. The most popular house types are three-bedroom properties, with an increasing number of home buyers using the Government’s Help to Buy – Equity Loan scheme. It comes as Bovis Homes is due to launch its new homes collection – part of the second phase at the location - in the coming months. Sian Salter, sales advisor at The Avenue, said: “Our reservation figures are high because of the quality and design of our homes and our prime location, nestled in the Cotswolds, which has led to strong demand from house buyers. "The most popular house types have been the three-bedroom properties and a number of buyers are taking advantage of the Help to Buy scheme. "We are attracting investors, families and professionals - a real mixture of people. Located next to the Fire Service College, the development offers easy access to a leisure and sports centre, library, restaurants and places of worship. Moreton’s independent shops and weekly market are also a draw, plus direct rail links to nearby Oxford and London. 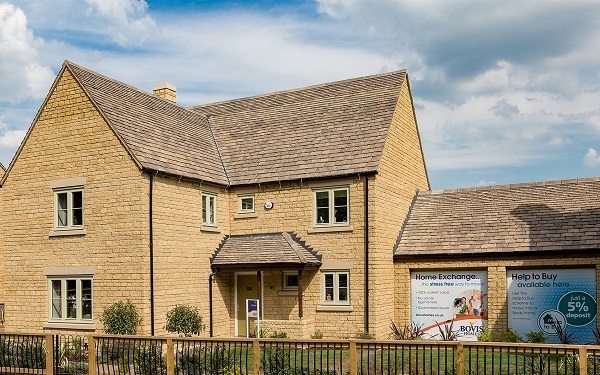 Stephanie Spry, regional marketing manager at Bovis Homes, said: “Moreton-in-Marsh is great as it’s part of the Cotswolds but doesn’t attract the levels of tourism that places like Bourton-on-the-Water do. Buyers can take advantage of the Government’s Help to Buy – Equity Loan scheme, which is available exclusively on new-build properties. Buyers will only need a five per cent deposit, with the Government providing an equity loan of up to 20 per cent of the value of the house. By securing a 75 per cent mortgage, buyers may be able to find more competitive lending rates and make repayments more affordable. Bovis Homes’ new housing collection, which includes two to five-bedroom homes that have been designed and developed by the company over the last 12 months, are named after British trees and focus on well-proportioned exteriors with a real sense of light and flow on the inside.